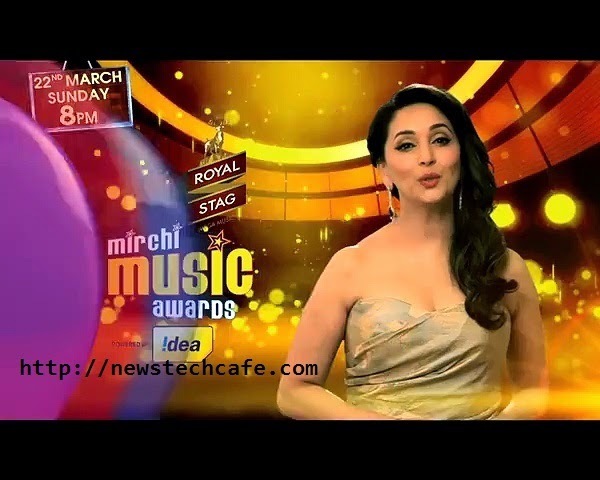 'Music Mirchi Awards 2015' is Upcoming Award Show which is going to be aired on 22nd March 2015 on Top Hindi Entertainment Channel Zee Tv (Zee Entertainment Ltd.). 'Music Mrichi Awards' are Presented annually By Top Radio Station 'Radio Mirchi' to Honour Artist and Technical Professional in Hindi Language Film music industry of India. This Awards in Presented in 17 Different Catagories .Ever since it's establishment in 2008, the 'Royal Stag Mirchi Music Awards powered by Idea' has only grown in stature and in recognition. This year in 2015, is the 7th edition of the Royal Stag Mirchi Music Awards 2015 powered by Idea which shall celebrate and felicitate the best music from our music industry from the past year. The Award salutes the hard work, passion and the immense creative talent of our music industry and also includes a non-film category to honour the non-film musical talent. The awards would be presented in 17 different categories to felicitate the melody kings and queens of bollywood and the winners are decided by a jury made up of stalwarts of Indian Music. Actor and singer, Ayushmann Khurrana will be hosting the show along with Shalmali Kholgade, Aditya Narayan and Neeti Mohan and promises to be packed with amazing music, fun and entertainment. The jury for both editions of the awards consists of several experts from the Bollywood music industry. Javed Akhtar, poet and lyricist, is the chairman of the jury. The other members are (listed alphabetically) music composers Aadesh Shrivastava, Anu Malik, Lalit Pandit and Louis Banks, playback singers Alka Yagnik, Kailash Kher, Kavita Krishnamurthy, Sadhana Sargam, Shankar Mahadevan, Sukhwinder Singh and Suresh Wadkar, lyricist Prasoon Joshi, and directors Rakeysh Omprakash Mehra and Ramesh Sippy.